The Puzzle Maker on your iPhone. 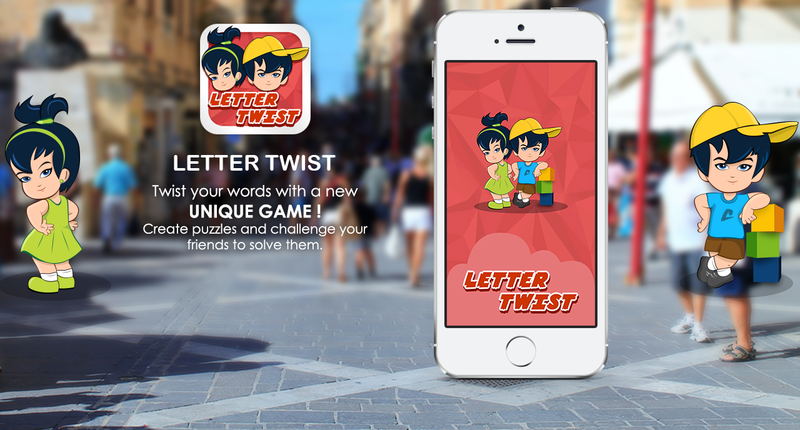 Letter Twist, The Puzzle Maker on your iPhone, makes the process of creating puzzles just as much fun as solving them! For the first time ever, you can create personalized, original puzzles on your mobile phone with a cool, easy to use app. Include your own set of questions to share with friends, Challenge your loved ones by sharing special set of questions, create difficult puzzles to stump your coworkers, or entertain kids with fun questions! Then, share your scores and puzzles on Facebook to keep the fun going. It’s super easy to get started! Simply add in your questions, create helpful hints, and save your original puzzle. Once your puzzle is complete, you can share it with friends from your Facebook and contact lists or sends it to an email address. If they’ve also fallen in love with Letter Twist app and have downloaded the app then your puzzle will go directly to their inbox for easy access. All you have to do is open the puzzle from your puzzle list and it gives you the chance to play and solve it! Proud of your score? Check the resolved puzzle view to share it! Check out the puzzle bank if you’re really in a puzzling mood. Stay on top of the action with push notifications, which alert you to challenges from friends and puzzle resolutions. Collect as many scores as you can on your scoreboard and share your records with friends to claim the puzzle champion crown. Twist your words with a new unique game ! Create puzzles and challenge your friends to solve them.